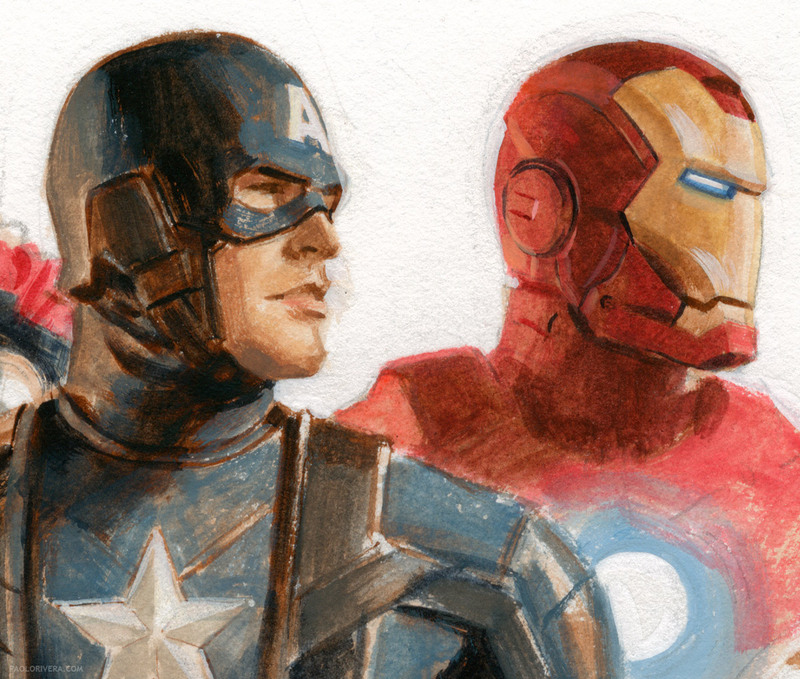 Avengers Studies (work in progress). 2011. Gouache and acrylic on bristol board, 11 x 17". 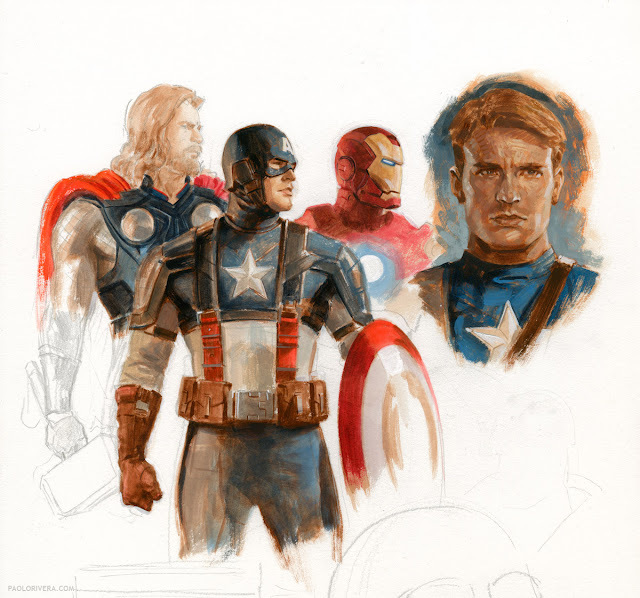 A new Thor trailer just debuted, so I thought it would be a good excuse to show a recent study of the cinematic Avengers (they're mostly based on the concept art that made its way on-line last year). I haven't really read any Thor comics, but I'm still excited for the movie. I like what I've seen so far and I can't wait to see them all on the screen together. In other news, I'm leaving today to go skiing for the first time. Gonna take some lessons... and take it easy. Have a great weekend! Gasp! Could your super secret project be related to the Avengers movie? Narciso, I'm afraid not. But I don't think you'll be disappointed when you see it.